Get Relay™ today for filtered water at the speed of your faucet. If you're still using that old drip filter then chances are that you've got a few minutes to kill. Follow us on Facebook, Pinterest, and Twitter for #HateToWait time saving tips. Filter as you fill and again as you pour for great tasting water. This dual filter system is the secret to delivering freshly filtered water, fast. 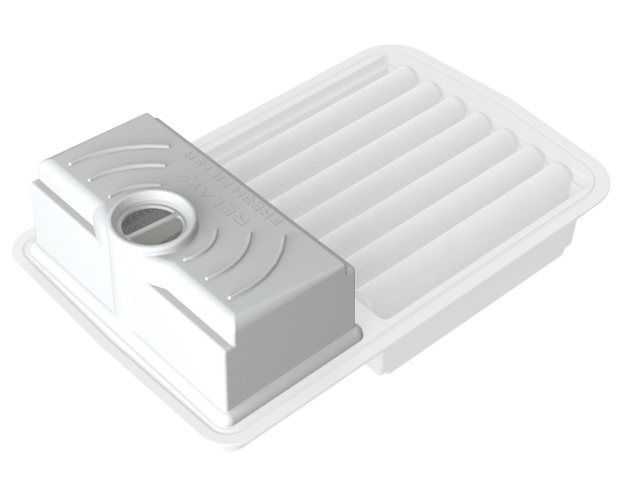 The Relay Fresh Filter is pleated, which increases the amount of water that comes into contact with the filter at a time. This design allows Relay to filter water 10X faster than the leading competitor. The Relay Fresh Filter is packed with plant-based activated carbon that is embedded into a non-woven material. Independent test data shows Relay removes Chloramine, Chlorine, taste and odor (see test data here). No more super slo-mo trips from the faucet to the fridge. The Relay lid snaps on and locks tight, ensuring that you won’t slosh water all over the kitchen floor. 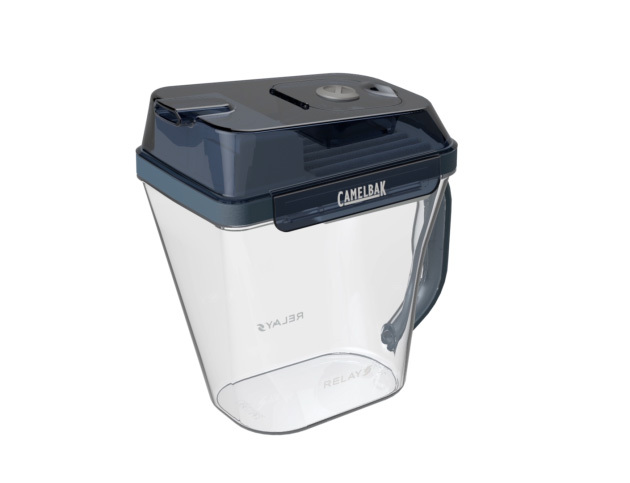 CamelBak Relay filters at the speed of your faucet. This eliminates the need for a filling reservoir (located at the top of most pitchers), making Relay easy to balance and virtually impossible to spill. 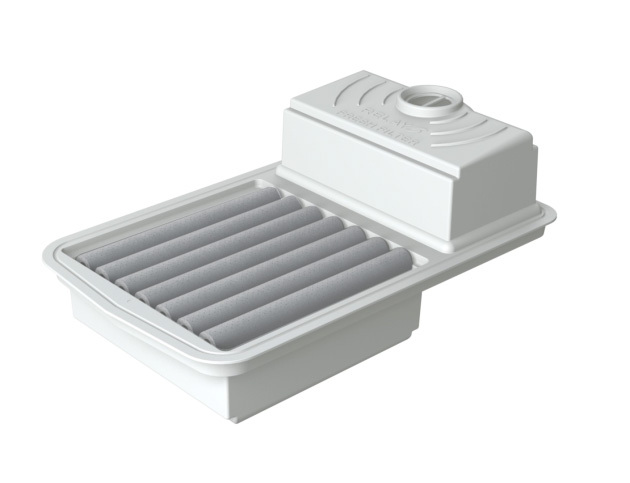 The Relay Fresh Filter is packed with plant-based activated carbon that is imbedded into a non-woven material. Independent test data shows Relay removes 97% of Chloramine, Chlorine, taste and odor (see test data here). 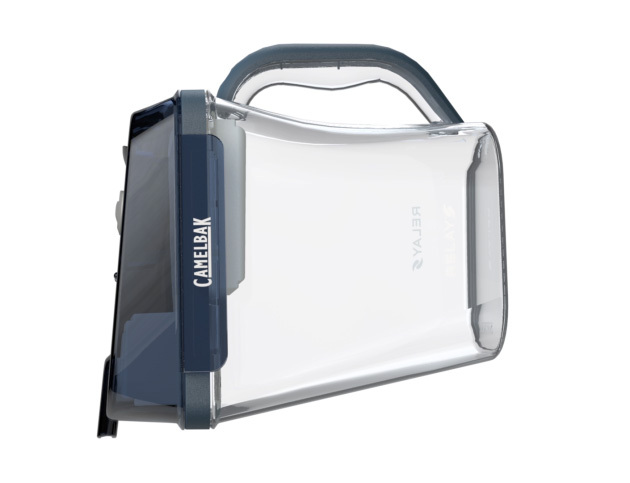 CamelBak Relay stores up to ten cups of fresh water without sacrificing valuable fridge space. The ergonomic and space-saving design fits easily inside most refrigerator doors. Relay's long lasting filter. Good for you. Great for the environment. Sustainability matters. 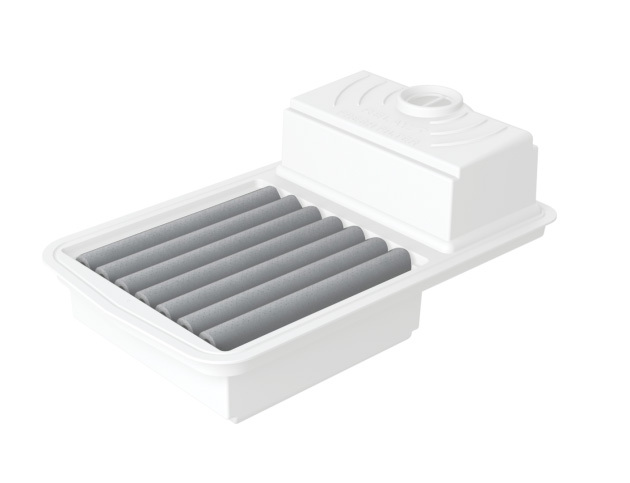 That's why we've designed the Relay Fresh filter to last 4 months, twice as long as other filters on the market. Which means less plastic waste and fewer trips to the store for replacements. CamelBak Relay is available at your local Target store, Amazon, and right here at CamelBak.com in six designer colors. Click below to buy now or to find one in a store near you.